Few companies in the effects arena have been bringing it like TC Electronic lately. Within the past few years, it’s reinvented its line of guitar stompboxes, started a polyphonic tuning revolution with the Polytune, and created TonePrint technology. If that wasn’t enough, many of its offerings are available in miniature editions, showing that it clearly listens to player feedback and creates what the people want. 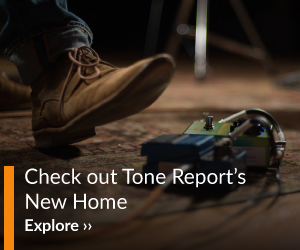 TC has been very hands-on in its approach, teaming up with players around the globe to create signature sounds via TonePrint, and, with the TonePrint Editor, everyone that owns a TC pedal with TonePrint capabilities can craft their own sound. With all of its technological advances, it has remained true to the scene by delivering what counts most—quality tone. It’s no surprise that TC is one of the most popular companies around right now, and the company’s latest pedals stack up with the best of its recent offerings. The Viscous Vibe is one of those, and it does not disappoint. Laid out fairly similar to other vibe pedals, the Viscous features Intensity, Speed, and Volume knobs, the latter of which is quite large, enabling players to vary speed with the edge of a shoe/boot/hairy toe. It also features a three-way toggle switch with Chorus, TonePrint, and Vibrato settings as well as stereo ins and outs. According to TC, the Viscous is a one-to-one recreation of the Shin-Ei Uni-Vibe in its stock setting. The TonePrint feature gives you access to various celebrity user presets, allowing for a wide array of vibe sounds for sonic experimentation. In Chorus mode, the Viscous provides classic vibe sounds, from slow, slightly detuned waves to fast, wild warbles. My favorite setting in this mode was high Intensity—around 3 o’clock, with Volume just above unity and Speed around 10 o’clock. The slower speed at full intensity added depth and dimension to clean chord work, and with some fuzz, I ventured into Floydian territory. Faster speeds took me deep underwater into an ethereal, liquid cave of sound. If I have one complaint about the Viscous, it is the lack of an expression control for speed, but that’s probably why they made the knob so big, and that allows it to remain compact like the rest of the pedal lineup. In Vibrato mode, seasick sounds abound, warping your signal’s pitch in a subtle or extreme manner depending on knob placement. Forgive this deviation from the six-string realm, but the Vibrato setting also sounds great on keyboard; I did my finest hack job edition of “See The Sky About To Rain” with a Roland electric piano plugged into the Viscous. All sounds in both modes are thick, rich, and pleasing. In my experience, it’s nearly impossible to get a bad sound with this unit. Sure, there are sounds that you won’t want to use all the time, but they all have their place and always feel musical. The TonePrint selections add a whole new world of possibilities. The SpaceVibe TonePrint, with its enhanced feedback and bonus flanger sounds, was my favorite bonus setting. In short, there is an entire universe of sound in this pedal and the only limit is your imagination. Whether you’re looking to add a little Jimi to your setup or you just want something new to inspire you, the Viscous is worthy of your consideration. Some players may balk at its digital design, but the sounds are absolutely on point, and when you factor in TonePrints and stereo capability, this pedal is an incredible value. 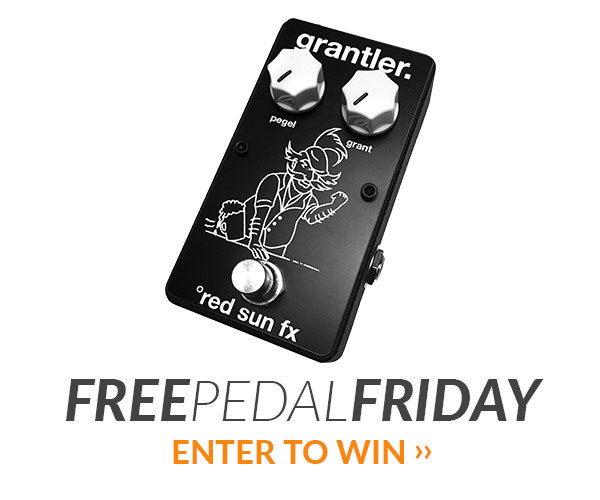 TC Electronic has done it again—this pedal truly gives off good vibrations. What we like: Excellent, authentic vibe, chorusing and vibrato. Versatility of TonePrints. Stereo capability. Concerns: No expression input for speed control, but once you get used to the big knob, it’s no sweat. ‘If I have one complaint about the Viscous, it is the lack of an expression control for speed’. If you hold down the switch, it will ramp up from wherever the speed knob is set to maximum, and then back down when you release it. I believe with the Tone Print editor you can even customize the ramp lag time. I bought my UniVibe back in 1972 at the time it was going by the name “Shift-ee UniVibe”. It was the real deal. Suddenly I could play Hendrix’ Machine Gun they way it should be played. I ended up putting a mic stand adapter on the bottom to keep the dials handy. The cable on the pedal was long enough to be where it needed to be. I’d had my UniVibe serviced a couple of times but in the end it became very noisy and then quit for good. Note that I’m talking about the original BoG at the Fillmore East album released by Capitol Records, not the crap performance version on the second Fillmore BoG album that came out around 10 years ago. The only mod I’ve made in tweaking this unit with the editor is to reduce the stereo separation around 20% (the original UniVibe was, of course, mono). Otherwise it is spot-on out of the box.